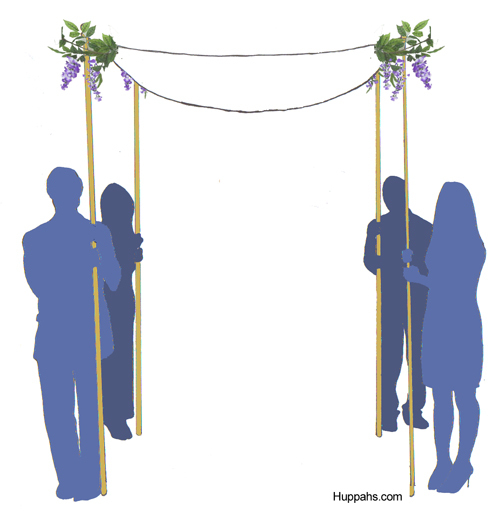 This is another approach that works best with fairly light garland, otherwise the huppah can look top heavy. Use greenery, flowers, or leafy herbs. Use florist wire to attach the two ends of a length of garland to the tops of adjacent poles. Let the garland drape across the face of the valance. For a more formal look, leave some garland hanging down at the poles. The ends of the garland should hang slightly lower than the lowest point of the draped section. Huppahs.com’s poles, both the huppah poles for sale and huppah poles for rent, have circular screws at the top that are used for attaching the canopy and can also be used for attaching garland or other decorations. 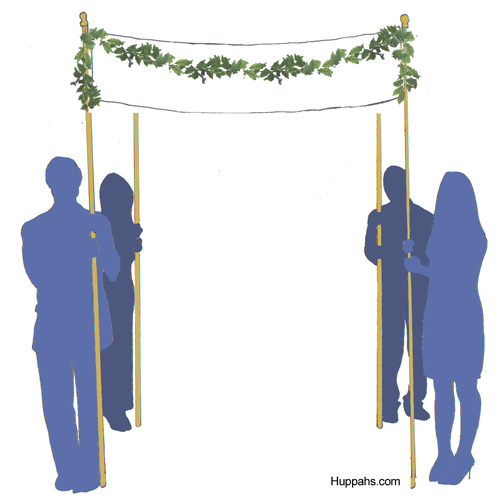 A garland of fresh leaves or flowers around the edge of the huppah canopy brings a bright energy to the wedding space. The garland should be fairly light-weight. Use light flowering branches, wildflowers, or herbs. You can DIY the garland or have your florist make it. Garland is also available from online florists. Huppahs.com’s Simplicity Huppah was designed to make this type of decoration easy. 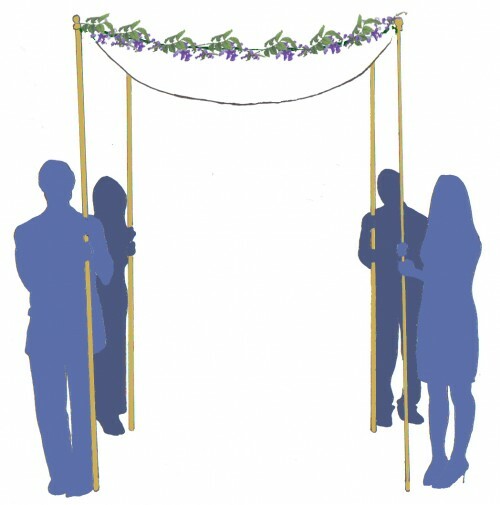 The canopy has small loops around the edges to which you can easily attach your own garland with florist wire.